Many people dealing with trade in digital realm claim that Magento eCommerce website development is the best solution for eCommerce operations today. There are of course many that dispute such claims as well and advocate other solutions. So, what is the answer to this question? 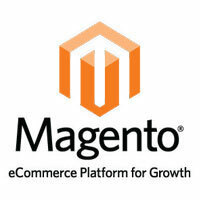 Is Magento really the best solution to all the problems you might face during your operations online? Developing eCommerce websites using Magento as a core platform is quite a common method of entering the market and upgrading current operations. This is the platform that leads the race between various solutions for years now, and this is not happening without a good reason behind it. Any Magento development company you might ask will give you a simple answer – this is the leading open source eCommerce platform that can help you do whatever you wish to do. There is not a single segment of the market that can’t be reached through it, there are no real setbacks when it comes to capabilities and it is possible to expand it on your own in case you need any additional feature! Those who advocate other solutions will claim that it all depends on the Magento agency you will be using and that the fact that it is an open source solution means there are imperfections and almost unsolvable problems unless you hire the best Magento developers out there. The truth is that there are really many companies that offer Magento development services and that not all of them are skilled enough to provide the services on a satisfactory level. Simply, there are too much of them to maintain the high level of quality, and you need to really pay attention when you decide to hire Magento developer. What needs to be done: Magento development in UK comes in wide variety of quality levels. You need to choose Magento eCommerce development company that is capable of providing services on a top level. How to do it: Take a look at the portfolio of each web development company you are considering. Then check if they really did it, as there are A LOT of fake websites that bring fake portfolios. It is best to stick with proven developers that have all the expertise that you might require. A little bit of research, and you will be able to determine whether the Magento developer you are considering is the real deal or fake. Studioworx is one of the best Magento development companies in UK, so you can always turn to us for consultation and evaluation of your project. We can provide a huge portfolio of cases we have been involved in, and we have impeccable record concerning Magento development projects. When it comes to Magento design, the cards are pretty open. This platform allows any kind of design to be implemented, so it is really possible to provide your customers with any kind of user experience you wish. The wide selection of 3rd party services only reinforces this statement, as it is possible to add literally any type of service that is available for eCommerce and create a fully personalized experience that is on par to any other. Of course, this is only what Magento is capable of providing, but it still depends on your Magento design agency in most parts. Similar like with Magento developers, you need to take a good look at the Magento designers available and make a wise pick. The upside is that usually the agency that covers development can cover design as well so you will be able to get both services in the same place. What needs to be done: You need to pick the Magento design agency that will be able to channel your ideas and wishes into effective design that will be competitive. How to do it: Once again, you should focus on portfolio they can showcase. In this specific case, it is not a bad idea to take a look at the entire portfolio the web designer agency can provide, and include websites made under other platforms as well. Simply, Magento allows any type of design, so the focus of the research should be on creativity and showcasing of capability to come up with great designs which are able to reinforce branding efforts. No matter if those designs have been developed under different platforms – it is quite possible to apply them under Magento as well. We at Studioworx can definitely help you with this. We are one of the leading Magento design agencies in UK and we have a massive portfolio of various designs from various niches of eCommerce. Some of our designs have won international awards, so we are able to provide top quality services in this segment. Magento is the leading and most trusted eCommerce platform of today because it can provide a full set of features that can definitely answer all your needs. Any channel that exists can be easily exploited using this option. Besides the multichannel approach that allows operating in different countries, under different rules, using different shipping and delivery options, different payment features, and different website outlays, it also allows easy connections to marketplaces such as Amazon, eBay, Rakuten, Alibaba, Coolshop, and others. It also allows combining brick and mortar stores with online channels, and joining all of them into an omnichannel ecosystem that provides all imaginable options at the same spot. Of course, the fact that something is available does not mean you should use it all at the same time, and the channels and approach you will be using needs to correspond with your goals and your budget. What needs to be done: You need to determine channels you wish to use in your eCommerce operations and activate only those that will be exploited. How to do it: Consult your Magento eCommerce consultant. It is possible to develop your Magento website in any way you wish, but consult the experts as they will be able to help you determining what is really needed, and what is simply waste of time and money. Studioworx can help you in this segment as well. Upgrading your Magento web store is relatively straight forward when it comes to adding 3rd party services. In this case, all you need is some additional web development work, and integration of additional services will be finished and new features ready to go. The Magento marketplace of 3rd party service providers is rich, and many of the leading companies that can help your eCommerce business already have ready-made connectors for integration into any Magento store. Still, these services are not free in many cases, so it is necessary that you make a proper projection of the expenses both for upgrades (Magento web development that will be needed for upgrades) and the running expenses for using additional services. The second segment of Magento upgrades refers to the Magento versioning. New features and new versions of Magento are released every six months, and upgrading is usually not something that will create too much headache. Sometimes, with the upgrades applied there might be some problems with certain modules and features, but this is the issue that can be addressed relatively easily by your Magento eCommerce web development agency. Complete changes that include completely different versions of Magento, not compatible with the current system are rare. Actually, it happened only once and quite recently when Magento 2.0 has been released. This is something that can cause certain issues and requires a bit more significant investment for migration of your store from the old to the new version, but still, it is far from “mission impossible” and a skilled Magento web development company will be able to provide all the expertise you might require. Finally, there are 2 different versions of Magento – Magento Community Edition which is free and comes without support, and Magento Enterprise, which is rather costly but includes full support by the Magento Company. Usually, the free version is most commonly used because it is ideal for smaller businesses, it requires only experienced Magento web developers, and with that can provide all the features you might need. Due to a hefty price tag on the Magento Enterprise edition, this option should be considered only by larger companies and big corporations. What needs to be done: You need to keep your Magento store up to date. It can be done using any of the 3 upgrading options mentioned. How to do it: Always keep the goals in mind when adding 3rd party services. Let the ongoing versioning upgrades be handled by expert Magento developers. It is easy to lose your way if you try to do it internally. Upgrade to the paid version ONLY if your operations are massive enough to support the increased costs it brings. Studioworx is again a pretty obvious solution. We have a huge experience and we are one of the best Magento eCommerce development companies in Yorkshire and United Kingdom in general. Besides the price mentioned for Magento Enterprise, which are not mandatory and in most cases not applied, there are some other costs that should be counted on when you decide to use this eCommerce platform as a backbone of your digital presence. First of all, there are Magento development and design costs. The development tasks can vary in price and are strictly related to the size of your business and a scope of your online operations. As for Magento design services, they will cost pretty much as it is the case with any other option. After this, there are expenses for hosting and connectivity as this is a standalone or on-premises eCommerce platform. Finally, there will be costs for maintenance. Since there are no automated updating systems, you will have to invest in updates and upgrades when required. Still, in all segments you have a full control of the expenses and there are no hidden costs as it is always the case with SaaS eCommerce platforms. What needs to be done: You need to have a scope of the investments for hardware, connectivity and maintenance in mind and adjust your budget to it. How to do it: Many Magento eCommerce development companies offer fixed packages for maintenance and there are premium hosting partners for Magento. You should seriously consider these options. After all of this has been said and analyzed, the conclusion is pretty obvious – Magento definitely CAN BE the right solution for your eCommerce operations no matter the size of your business and your goals. Whatever needs to be done can easily be done using this platform. You will have the option to constantly expand and upgrade your digital commerce presence and to direct your future developments in the direction you wish. This is applicable to any company out there, and the variations in possible paths to expanding are inexhaustible. The main problem you will be facing when dealing with Magento as the eCommerce platform of your choice is quality of web development agencies available and their capability to deliver exactly what you need. If you make a good decision on the contractors who will be actually dealing with Magento development and design for your company, there will be no additional obstacles down the road and you will be able to have a stable and expandable online presence for years to come. We at Studioworx are the leading Magento development and design company based in Hull, East Yorkshire, in United Kingdom. Our background and our experience guarantee that we will be able to carry out all operations you might require, so feel free to give us a call and ask for consultancy or quotation on your project.